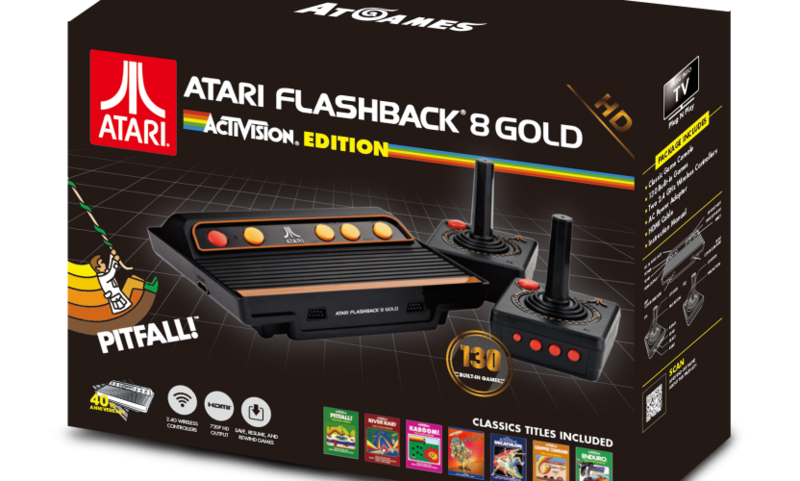 What follows is the official finalized game list for the retail version of the 2017 release of the Atari Flashback 8 Gold: Activision Edition, which will join the other AtGames products at retailers everywhere later this month after having a period of exclusive availability at Walmart.com. The all-new Atari Flashback 8 Gold: Activision Edition features 130 built-in games, including marquee Activision and Imagic classics. 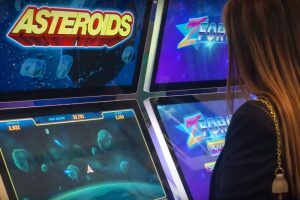 These games include legends like Activision’s Pitfall!, which is celebrating its 35th anniversary, and Imagic’s legendary shooter, Demon Attack, as well as many other all-time Atari 2600 classics like Centipede™, Chopper Command™, Enduro™, and River Raid™. Two high performance 2.4ghz wireless controllers, styled after the Atari 2600 originals, are included, as well as two legacy controller ports for optional wired joysticks or paddle controllers. Other features for the Atari Flashback 8 Gold: Activision Edition include 720p HDMI output, scan line filtering, and a save/pause/rewind feature for every game. Finally, as a nice addition to this excellent hardware release, I had the pleasure to work on an official paperback book for Prima Games called, Atari Flashback: The Essential Companion. 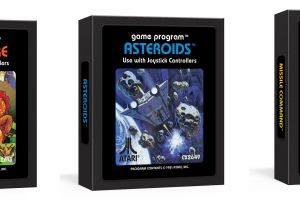 While it contains plenty of information on the latest AtGames Atari Flashback products, it’s actually a great general Atari 2600 resource as well, acting as a type of missing manual for over 65 Atari games. Of course, there is a lot more to this highly visual book, including Tips & Tricks and Fun Facts. It’s priced at just $19.99, which includes a mobile-friendly eGuide version for a second-screen experience. 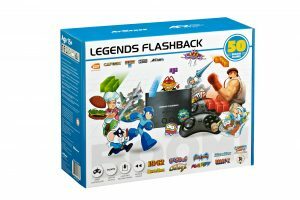 AtGames Announces New Legends Flashback Console! Official Atari 2600 Game Journals Available for Purchase! How much does it cost and when is the release date for this product? In the US, it’s available on Walmart.com right now, and everywhere else by the end of the month. I don’t know about UK availability. 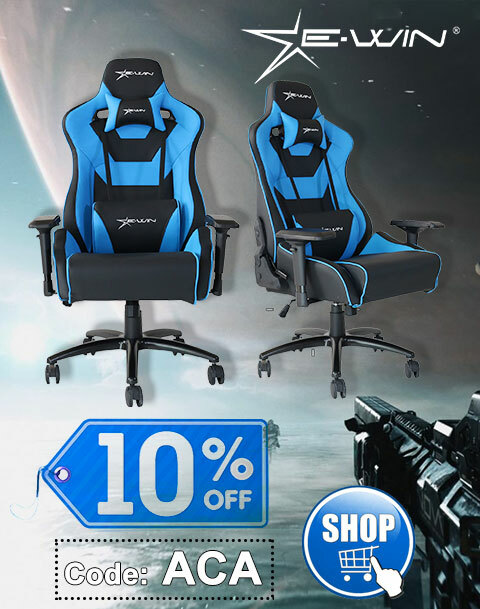 I just bought one at walmart’s website. I have a FB 6 (I think it’s the 6) that I was going to give my 5.5 yr old son for Christmas, but this looks like a better choice with the HDMI and Activision games. Looking forward to this! Thanks Bill. I agree that the Activision edition is pretty nice. I keep seeing different versions of the lists for both the Activision edition and the Flashback 8 Gold regular edition. One game I really want to make sure I have before I order is Robot Tank. Some listings I see show that on the Activision edition, and some don’t. I haven’t been able to find one in a store yet, but would like to confirm before I order. Do you have any connections to get an updated list? Those were early lists. The lists on here are 100% accurate to what you’ll find in the stores. ok i have a question or statement, as it might be considered. i went through the list of games that are different from flashback 8 gold and from the one listed above flashback 8 gold activision edition. i was noticing that there is around 27 games that are on one system but missing on the other. maybe the list could be added ( to the reviews ) to show what game differences appear in which copy/edition ?? If you have a text only version, by all means share it. Thanks again. I can’t seem to find a good comparison list and this one is gone now! A Venn diagram would be stellar! Pitfall II relied on special in-cartridge enhancement chips that are not supported on this year’s hardware. Maybe next year.